As part of our ongoing mission to promote the appreciation of fine woodworking and skill development for all woodworkers, we aim to provide high quality and engaging courses in woodwork for people of all levels. Whether you are a beginner, amateur, or professional, if you have an interest in refining your skills it is our aim to help you get what you need while creating a strong community of people with a shared passion. Check out our woodwork education programs below. The day will also include discussion about basic set of tools and jigs/bench aids to help get you successfully started in woodworking. 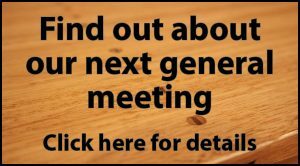 Register with David Palmer at secretary.woodworkersnsw@gmail.com.au. gluing up table legs and rails and finishing options. The course will be held in a purpose-built fully-equipped workshop. Hand tools and machinery will be used during the course. All safety equipment, tools and workshop consumables will be provided. If you have some woodworking experience, this is an ideal course for you to further develop your skills with one of Australia’s leading woodwork teachers. You will be able to apply the new skills and knowledge you acquire to many of your future woodwork projects. There is a limit of five participants which will ensure all will receive considerable one-on-one tuition and guidance from Stuart. Check out the links below for incredible workshops and learning opportunities provided by a few of our members. Richard’s classes consist of many students, some with engineering or design backgrounds, and some with no previous experience in woodwork at all – but they all learn the craft of furniture making. Students can try it or stay on to design & make their own furniture, custom designed for their houses, presents for other people or pieces taken from existing designs on the net. It’s a collaboration. Want to improve your skills or learn new ones? Need a new hobby? We teach woodwork, turning, carving, dovetailing and other joinery in our fully equipped workshop at Middle Dural in Sydney’s North West. Through this process we will learn to value the materials with which we work, the knowledge which has come down to us and ourselves through our work.